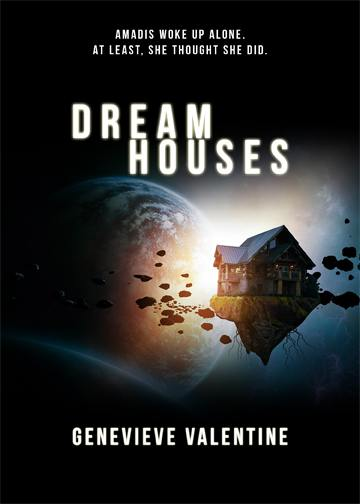 DREAM HOUSES, my first-ever novella, was first offered as a standalone book at Capclave 2014. It’s about space, survival, motets, and deer. It takes a certain type to crew a ship that drops you seven years at a time into the Deep. Kite-class cargo ships like Menkalinan get burned-out veterans, techs who’ve been warned off-planet, medics who weren’t much good on the ground. The Gliese-D run isn’t quite the end of the line, but it’s getting there. No cachet, no rewards, no future; their trading posts get Kites full of cargo that the crew never ask questions about, because if it’s headed for Gliese-D, it’s probably something nobody wanted. A year into the Deep, Amadis Reyes wakes up. Menkalinan is sounding the alarm; something’s wrong. The rest of the crew are dead. That’s not even what’s wrong. It’s also available in the March 2015 issue of FOREVER magazine.